Done with visiting the city and wish to get away from all that hustle and bustle for a little while? This is the place to come! 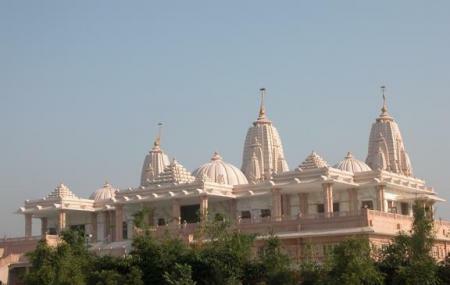 The Dada Bhagwan Temple is an amalgamation of Jainism and Hinduism religion and accommodates essence of both. If you wish to know the Hindu culture in depth, this is a great place to visit. Even your children will love it here. There is a certain tranquillity in the air that makes a detour here very peaceful and enjoyable and you will find your relaxed by the time you leave here. Tobacco and cigarettes are prohibited within the premises. How popular is Dada Bhagwan Temple? People normally club together Akshardham Temple and Vaishnodevi Temple while planning their visit to Dada Bhagwan Temple.